There is a strong undercurrent critiquing the inherent incrementalism of what currently passes for "sustainability" goals. Thought leaders in the field are now talking about next-generation goals, leapfrog goals, end-zone goals, context-based goals, science-based goals, reality-based goals... in a word, goals that catapult past business-as-usual, squarely into the realm of true sustainability or even past that, to regeneration or "net positive" impacts. 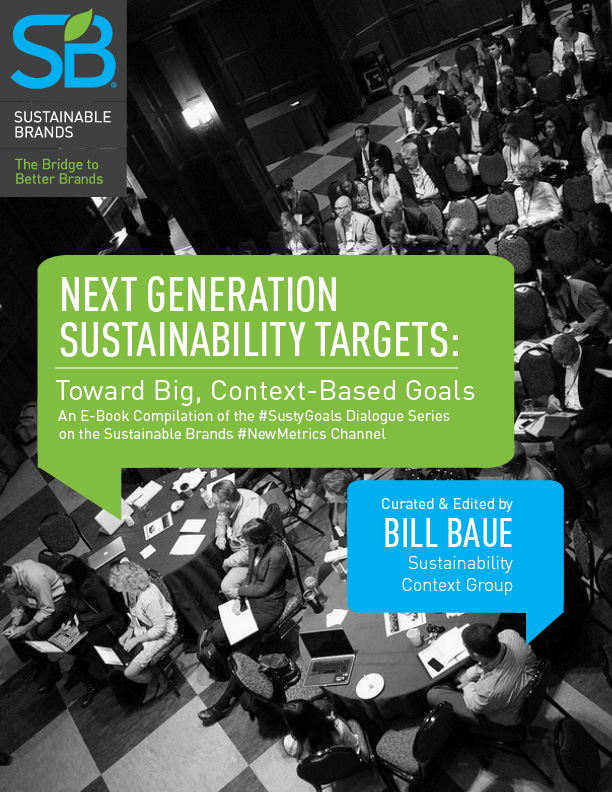 Enjoy this complimentary download of a series of dialogues on this trend toward true sustainability goals. *What does your role fit best? What organizational level does your role fit in?